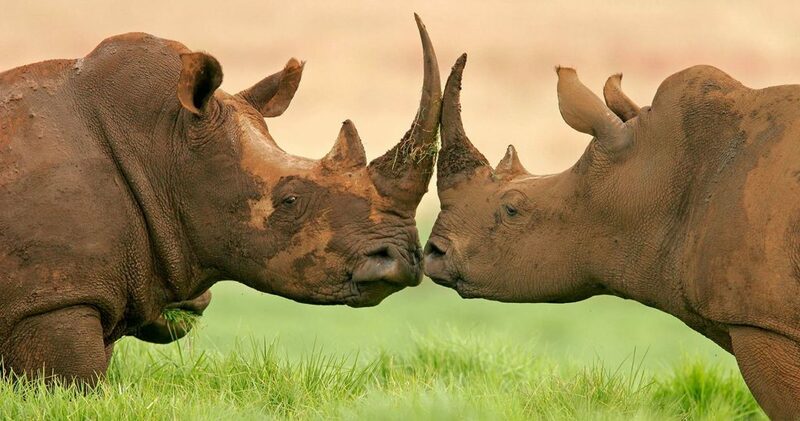 Big 5 country safari is for the real African wildlife’s lover. You can choose from a rich range of activities: game drives by open vehicles, walking and mountain bike safari. Remote and seldom visited, Mapungubwe is home to all big 5 but buffalo. Great scenery. A lion pride resting in the high grass in the early morning. Big 5 country safari is for the real African wildlife’s lover. 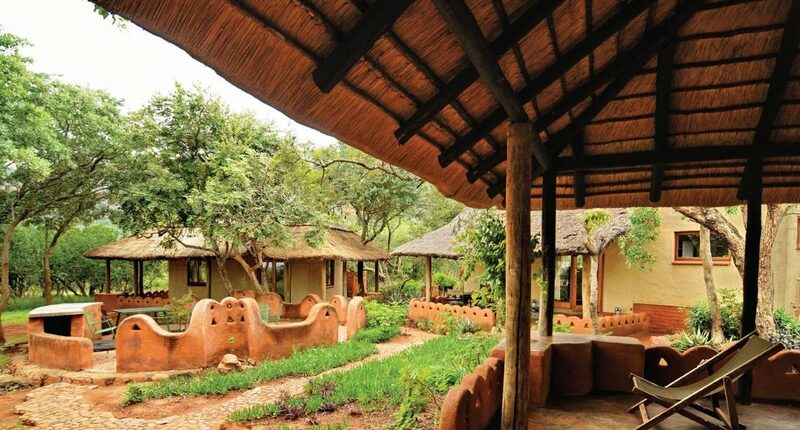 You can choose from a rich range of activities: game drives by open vehicles, walking and mountain bike safari. In the wilderness of the Tuli Block (Botswana), we might track spotted hyenas on foot. In the Kruger, you can go on a morning river walk or join a mountain bike safari. adventurers and independent travelers who appreciate nonetheless the added value of expert guiding. 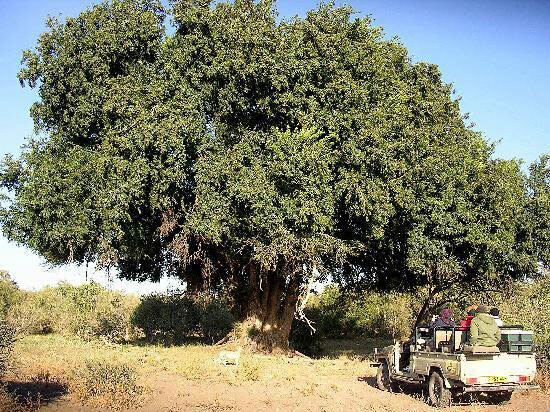 Bush camp experience: spend your nights in a bush camp in remote and secluded areas. 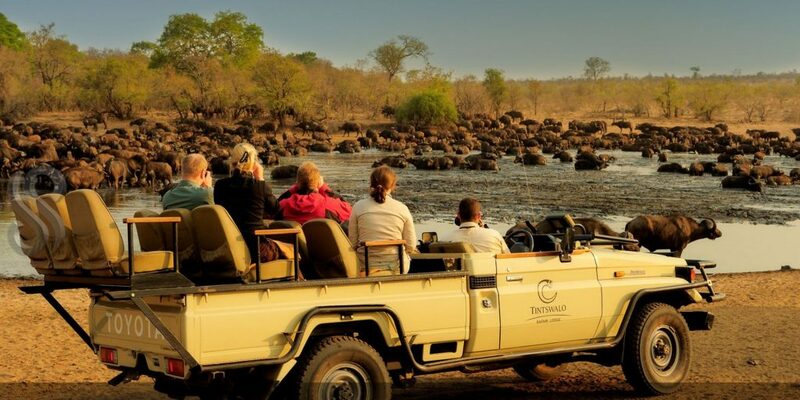 Live a wilderness experience in the heart of the Big 5 country. Hyena tracking: track down spotted hyenas on foot, trying to approach their dens. Close encounters are very possible, but you will be always escorted by an armed and experienced ranger. Mountain bike safari: you can book it at the reception of Olifants rest camp. But be sure to be in good physical conditions. River walk: walk in the morning along Olifants River, from the Olifants rest camp. Central Kruger: we will explore the regions of Olifants and Satara. From the Olifants rest camp you can book morning river walks and safari by mountain bike. Satara is known as the “the feline area“, for the abundance of big predators, and the large prides of lions. This is also the area of the park with the highest density of cheetahs. We’ll drive along the Timbavati gravel road, one of the most scenic of Kruger. 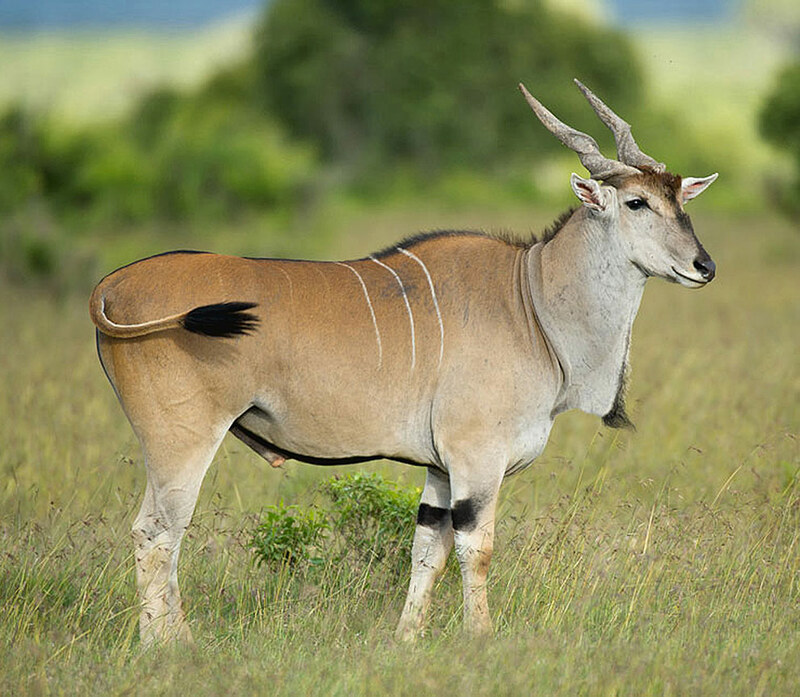 Manyeleti Game Reserve: arguably the wildest private reserve open to Kruger. During the Apartheid regime, this was the only reserve where black people were allowed. Because of a lesser tourist development comparing to other private reserves open or adjacent to Kruger, Manyeleti still looks pristine and with a very low density of vehicles. 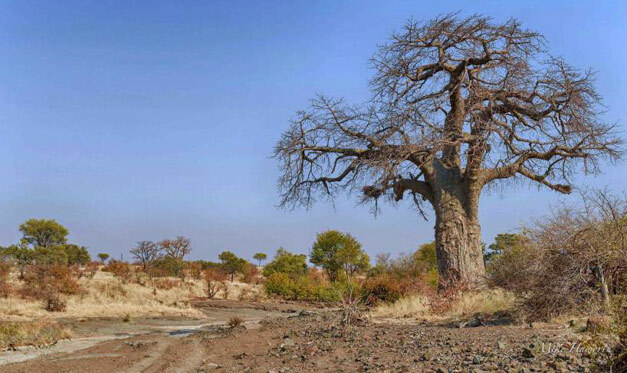 Tuli wilderness: this is the land of giants; huge trees (baobab, mashatu), the largest antelope (eland), the largest land mammal (the African elephant), the big predators (lion, leopard, cheetah and spotted hyena). Meeting at the Mpumalanga International Airport around 11 am with your guide. Self-drivers will pick-up their vehicle. We will head to Hoedspruit by driving along the Panorama Route and the Blyde River Canyon. Arrival to Hoedspruit by late afternoon. Dinner at leisure. Overnight in bushvilla or lodge. Accommodation at Olifants restcamp is in bungalow, with a braai for dinner. However, at your own expense, you can also dine at the restaurant. At Satara too it is possible, always at one’s own expense, to dine at the restaurant of the restcamp. For the passengers on the leading vehicles, the pick-up will be at the Mpumalanga International Airport (Nelspruit) or at Eastgate (Hoedspruit), according to their flght schedule. Depending on the arrival time, a quick visit to the Blyde River Canyon is possible. The first night will be spent in Hoedspruit, where we have our headquarter. 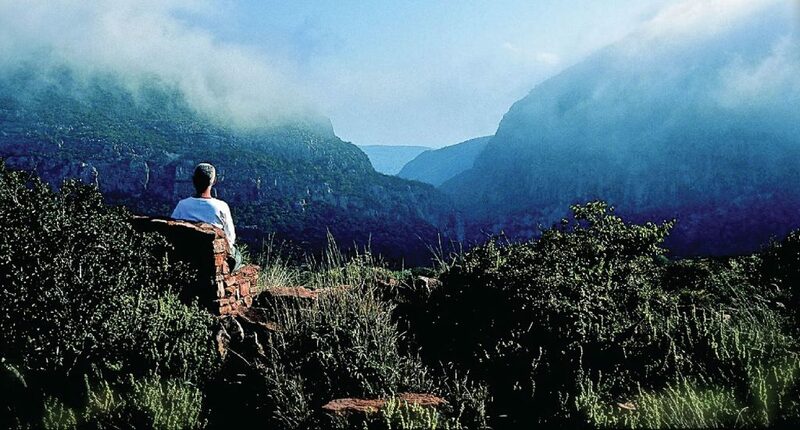 The stunning landscapes of the Leshiba Wilderness, the pearl of the Soutpansberg mountains. We'll spend 2 nights at the self-catering Hamasha Bushcamp, in a remote area of the reserve, wedged between open grassy plains and dramatic gorges. The breathless view over the gorge from the bushcamp. Not only game drives. 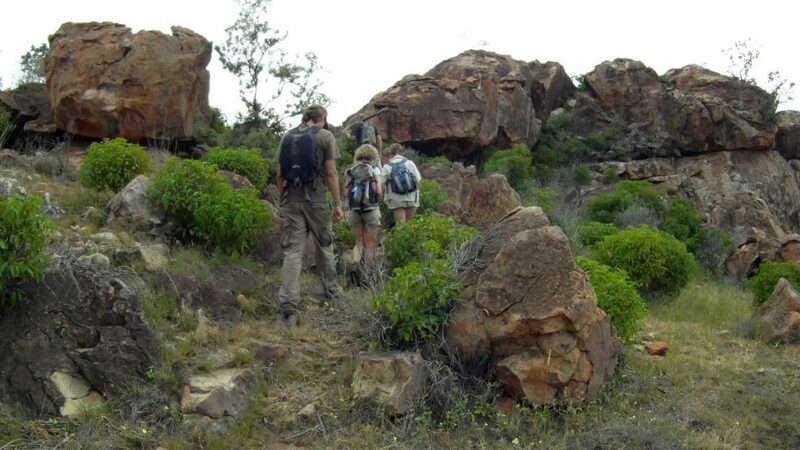 In the northern Tuli Block we'll have some short hikes as well. Looking for spotted hyenas. The remote Mapungubwe National Park shares its border with Botswana and Zimbabwe. The landscapes are simply breathless. 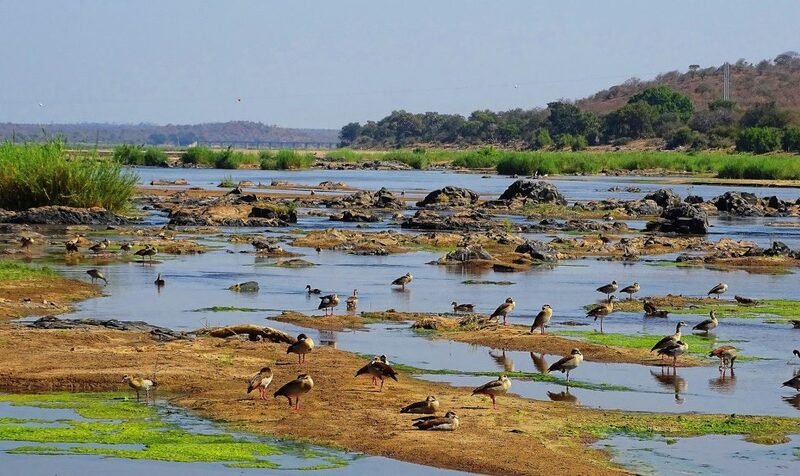 The Olifants, especially in summertime, is a real haven for birdlife. A common sight from the bridge over the Olifants river, just a few km from the Olifants rest camp. 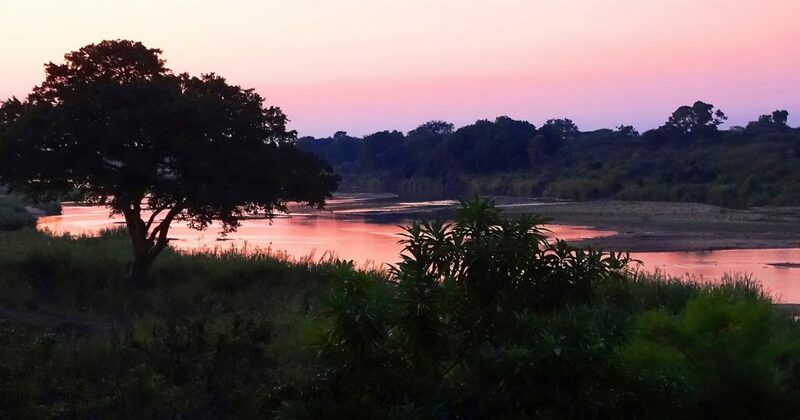 Sunset over the Olifants, the main perennial river flowing through the Kruger National Park. 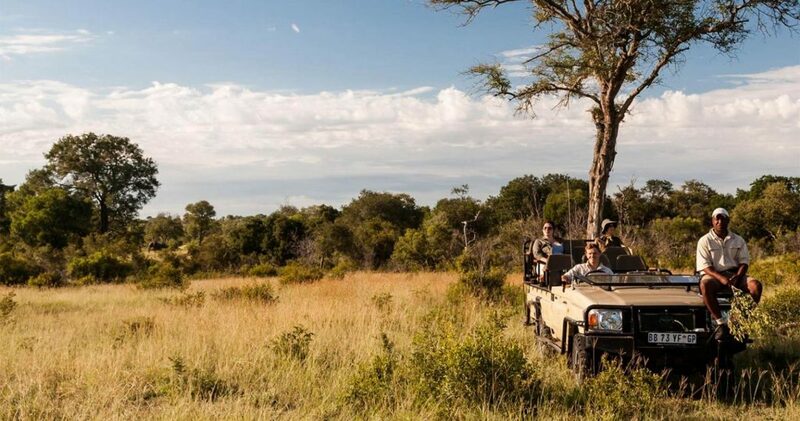 Game drives in the Manyeleti Game Reserve will be done by open and roofless safari vehicle. In spite of poaching escalation, Manyeleti is still home to a healthy population of white rhinos. A typical image of the grassy plains of Manyeleti in summertime. 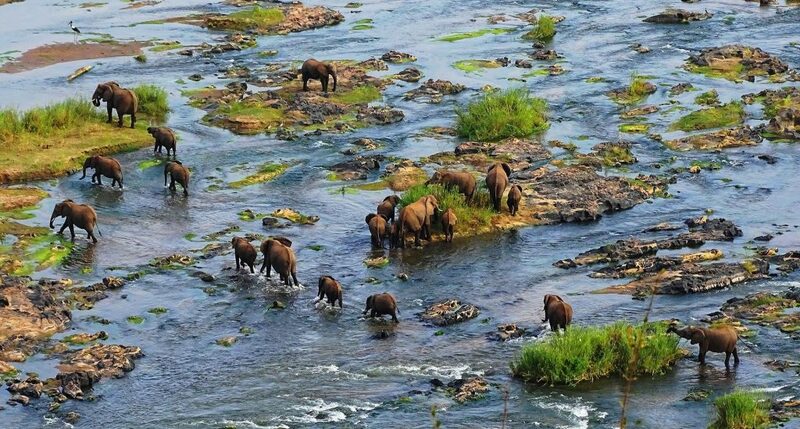 Breeding herds of elephants are very common. Large herds of buffalos are frequently seen in Manyeleti and very often at the big dam, not far from Ndzaka Bush Camp.